It also makes you hungry because you can often smell those burgers cooking before you hit the door. We've been to Dave's a few times before and are always happy to return. 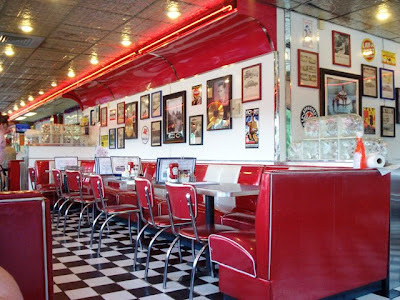 They have a huge menu of all your diner favorites and everything we've had so far has been oh-so-good. This particular Saturday we arrived around 3:15 p.m. for a late lunch. It turned out to be a good time because we didn't have to wait to get in, as sometimes happens here. Dave's is a very popular spot for breakfast also and the breakfast and lunch crowds combined … oh boy. But this day we were seated promptly at our favorite back booth. This gives us a great view of the adorable decor. 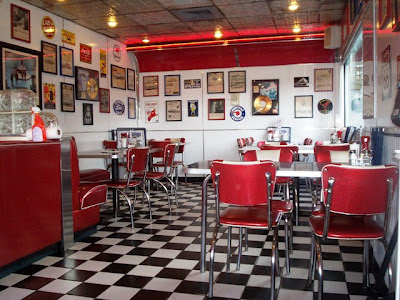 A black and white checkered floor, pictures of huge 50's cars, framed records and, of course, lots of Elvis complement the red and chrome tables and booths. 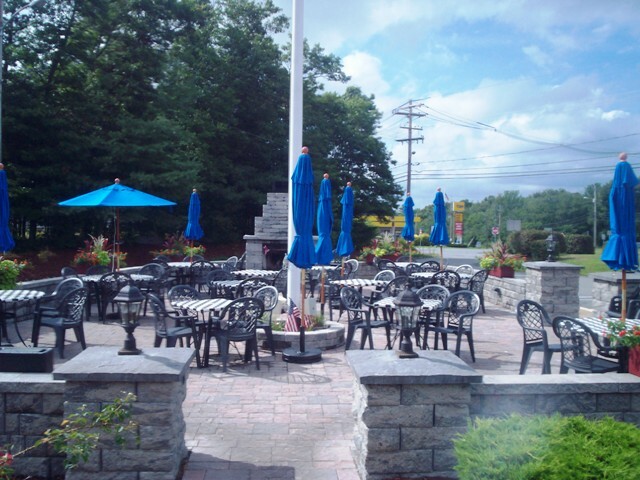 Music over the speakers and friendly waitresses complete the picture. You've stepped back in time. As soon as we were seated the waitress took our drink order. Normally we would get their great milkshakes which come in a large glass accompanied by another full glass inside of a silver container. But we knew we'd be having ice cream later and didn't want to have dairy overload. So I got a Coke and Laura got a Vanilla Coke (which I would have gotten if I had read that far on the menu). Then we perused the large menu. Dave's has great breakfast options like huge omelets, which we've had before and which were awesome. They also have pancakes and all your early morning favorites. But we wanted lunch and specifically we wanted burgers. Dave's has several kinds of burgers and they're large and come in a sort of wonderful brioche bun. They're so good. Plus they all have funny names (so do the breakfasts). I ordered the "Only the Lonely" which says it all – just a burger in a bun. 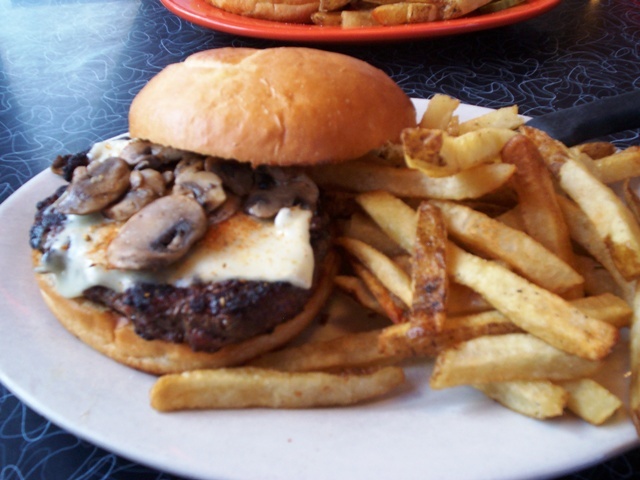 Laura, always the adventuresome one, had the "Hot Rod Lincoln" which is a burger with Cajun seasonings, mushrooms and mozzarella cheese. You could taste the quality in everything. 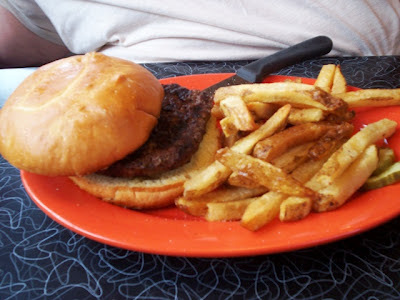 The meat, bun, fillings – even the fries on the side were first rate. 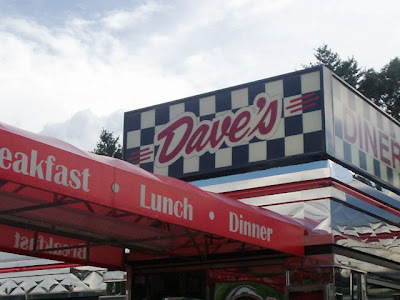 Dave's also has appetizers like "Great Balls of Fire" which are buffalo chicken tenders, "Surf City" fried clam strips, "La Bamba" nachos with tomatoes, jalapenos and cheeses and many more. They have several soups and salads and of course the burgers. They have sandwiches like the “T-Bird,” a chicken parmesan sandwich or the "Grandpa Horace,” a mile-high meatloaf sandwich, even a "Route 66," a grilled Reuben on rye and much more. If you're craving a full meal you can get chicken pot pie, homemade meatloaf, fish and chips, steak tips, liver and onions, spaghetti and meatballs, beans and franks and even a fried chicken dinner. You can check out their whole menu by clicking the link above. If you have any room for dessert you can scan the dessert case when you come in the door for cakes, pies and puddings. With a 20 percent tip for our great waitress we paid $28.20. As per our custom, we checked out the restroom and found it clean and tidy and 50's cute. So guys and gals for a great meal and a trip down memory lane, grease up your hair, put your sidewinders on and zoom on over to Dave's. It's a blast from the past. 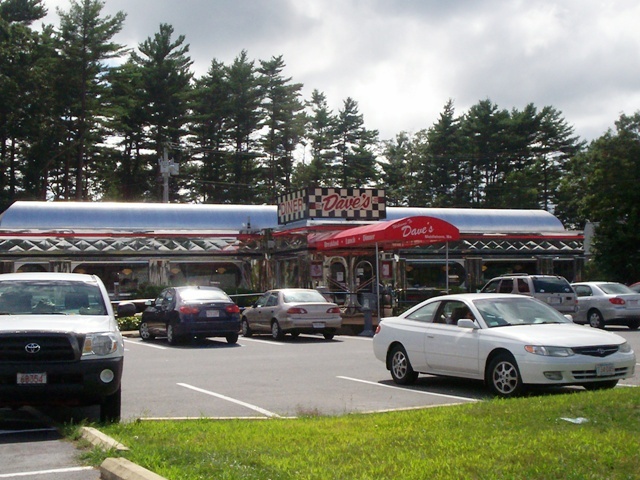 Dave’s Diner is open daily from 5:30 a.m. to 8 p.m. Sunday through Thursday and 9 p.m. Friday and Saturday. Breakfast is served until 11:15 a.m. Monday through Saturday and noon on Sunday. Some breakfast selections are available all day. 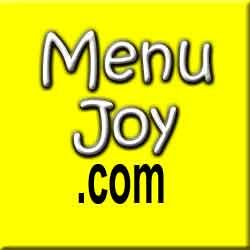 Don't forget to check out our friends at MenuJoy.com for great area restaurant menus.